You are seeking for one full service prototype manufacturer? Do you have equipment or machinery that has to be manufactured? Or might be mechanical equipment that requires assembly, You might have come up with a break-through idea that requires assistance in its design and engineering, but you do not see the point of a full-functioning factory, whatever the reason, if you aim to produce them, you must understand the right position what you want. 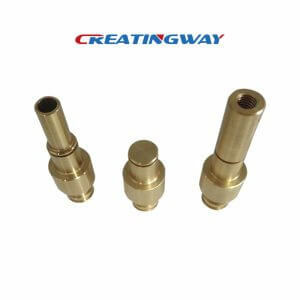 On the subject of CNC prototype manufacturers, you need a company that helps in every steps. This could be assistance in design manufacturing or fine-tuning a certain design. Your best bet is a manufacturer offering wide-ranging in-house capabilities. The manufacturing company will provide their customer based with a handy solution that will kick-start production CNC machining process from the beginning to the end. How to set up engineering designs in production? The manufacturer will offer assistance every path of the way. The focus will rest on the development cycle steps in the production and manufacturing processes. The best manufacturers have experienced engineering department which is fully staffed with professional ready to access your CAD drawings. This confirms every part of your design will easily go manufacturing. A great CNC machining company focusses on an integrated approach where manufacturing and engineering teams work closely till both teams are certain of their mechanical assembly which can be perfectly reproduced. We have an extensive background with the capacity to bring projects into the development cycle. This way we will guarantee the success of projects in the production stages when rebuilding prototypes from our facilities. Throughout the processes, our engineers will work extensively to arrive at a clearly defined and labeled work instructions. That will guarantee the quality of how your projects gets produced. Whenever, our engineering team are ready to support your projects from design, quotation and production needs, provide you any feedback and suggestions for cost reduction. We are ready to our machinery & equipment capability to meet your production needs once you have released. Meanwhile, we have the top priority production capability to support you any urgently projects delivery, Flexible working time also support you any production delivery needs and provide you processes anytime. We are able to meet your needs as one better rapid prototype manufacturer, we provide you great services from communication, quotation, production till final sales-services, offering you high quality products. You will feel easy and comfortable when you will choose your projects together with us.